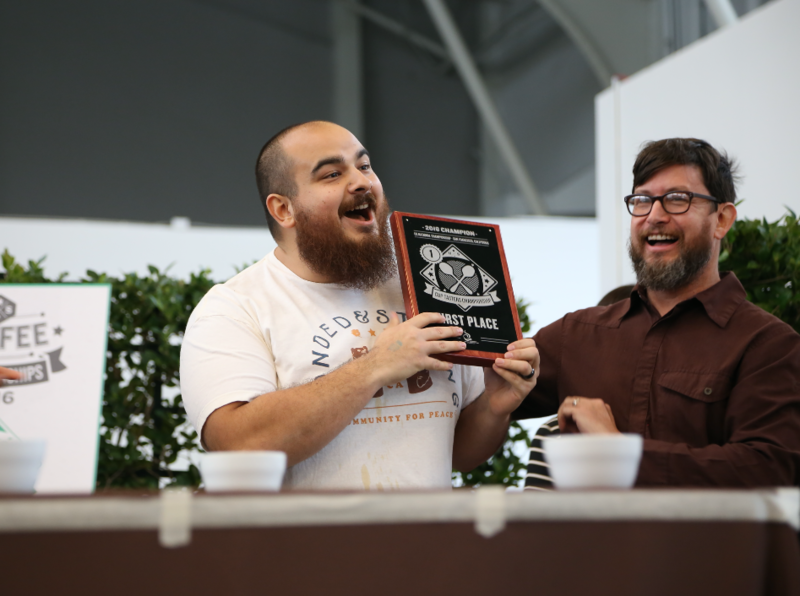 Austin Amento, founder of Augie’s Coffee House in the Inland Empire, brought home the gold with his win at the United States Cup Tasters Championship in San Francisco in January. Amento competed against tasters from top companies, such as Starbucks and Green Mountain Coffee Roasters in the national competition. Contestants tasted rounds of other coffee with only one different cup. They had to identify the different cup before the other two dozen competitors at the Bay Area competition. Robb Pearson, general manager of the Augie’s chain, said winning the cup has been great national exposure for the shop. Augie’s in Downtown Riverside is frequented by many California Baptist University students. The company also has store locations in Redlands and Claremont. Customers can enjoy a wide range of roasts, different brewing techniques and flavored drinks at every location. Pearson said roating their own beans in 2010 was a turning point for the company. Amento will be traveling to Shanghai March 29 through April 1 for the World Cup Tasters Championship.